[Hair care] 10 helpful tips to make your hair smooth and shiny! Dry hair, split ends, frizz? It does not matter, these following tips can help to make your hair as smooth and shiny as silk. Diet can directly affect our hair, because 65% of a human hair consists of protein. So it’s very essential that it contains high-protein foods in our daily diet, such as green leafy vegetables, beans, low-fat fish, seafood and white meat, and so on. Massage helps the circulation of blood. It’s better to cooperate with coconut oil when you massage the head, because coconut oil is an important source of nutrients and vitamins, and can nourish the skin, which is a natural conditioner. This massage helps to stimulate the head skin, keep the hair thick. Hair trimmed regularly contributes to the growth of the hair. If you don’t have your hair trimmed regularly, hair will become thin and fragile. It’s better to get regular trims to remove unhealthy split ends every three months. It’s a common misunderstanding that washing hair every day can keep the hair clean. However, washing hair with shampoo frequently will lead to the loss of more than half of the natural oil in our hair and make the hair too dry. The reasonable number of hair-washing is 3 to 4 time a week. Another common misunderstanding is that combing hair frequently helps the growth of hair. Although combing hair can stimulate the hair skin to release natural oils and promote hair growth, but excessive use of the comb can lead to hair loss. Daily combing time should not last more than 10 minutes. A hat or a silk sleep cap can protect hair from the harmfulness of dust, dirt, wind and rain, or the sun. Nervousness is a common reason of hair loss. Reducing stress appropriately can help hair growth. Yoga or meditation is a great try. Cotton pillowcases can easily make scalp and face oily. The best material which is good for scalp and facial skin is silk. 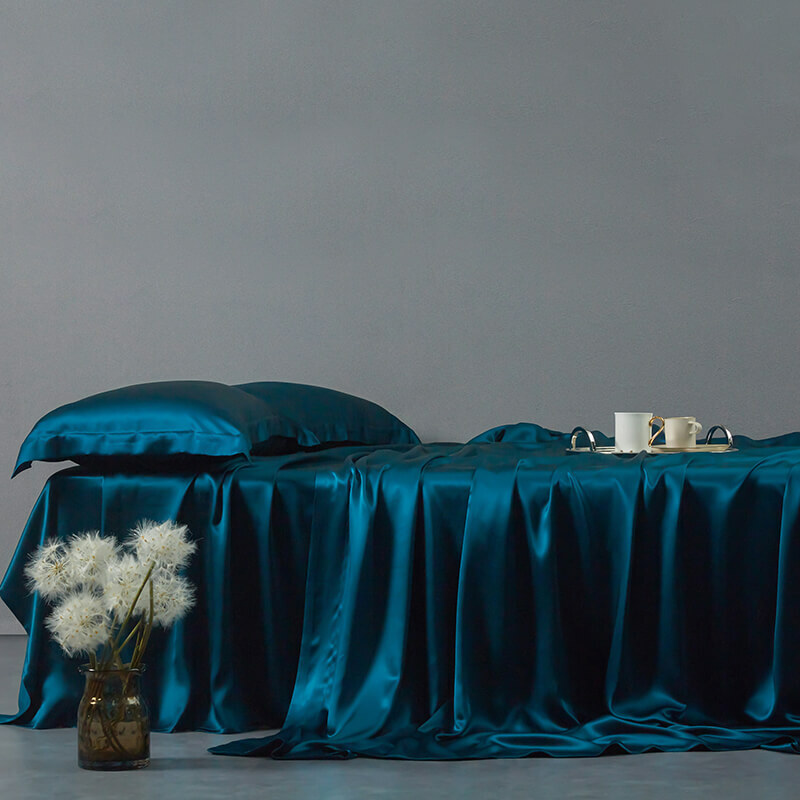 If you don’t buy a suitable silk pillowcase, you can wrap hair with a silk sleep cap when sleep. In this way, it can protect your hair from friction of cotton pillowcases. Drink water can get rid of the toxin inside the body and normalize the body function. The conditions of our hairs depend on the health state of our bodies. If our bodies maintain moisture, our hairs will be relatively better. Washing hair with hot water will lead to dry and fragile hair. And cool water can make your hair smooth and soft.